There are many instances where buildings delineated within the Ichnographia Campus Martius are presented together yet actually never existed at the same time. 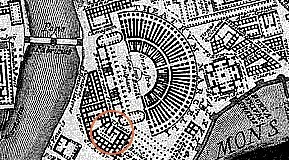 For example, the Amphitheatrum Statilii Tauri burned in the great fire of 64 A.D., and the Columna apotheoseos Antonini Pii (depicted just right of the amphitheater) was erected in 162, and the Columna Cochlidos (depicted left and just behind the amphitheater) was erected in 192. Similarly, the T[emplum] Pietatis and the Theatrum Marcelli are delineated together within the Ichnographia, yet the temple of Pietas was destroyed by Augustus in order to make room for the theater of Marcellus. Of more interest, however, is that Piranesi also omitted buildings that should have been delineated within the Ichnographia. While the Sepulchrum Honorij Imp., the mausoleum built by the emperor Honorius circa 400, is within the Ichnographia, the building that the mausoleum was in actuality attached to, the basilica of St. Peter built by the emperor Constantine circa 330, is not delineated within the Ichnographia. [I] got [Piranesi] to finish the whole of Rome and to publish it alone without joining it in a book whose principal dedication was to my Lord Charlemont, which made mine less regarded, whereas mine being sold separate all the world will purchase it and have no other name to detract from the honour of the intention. 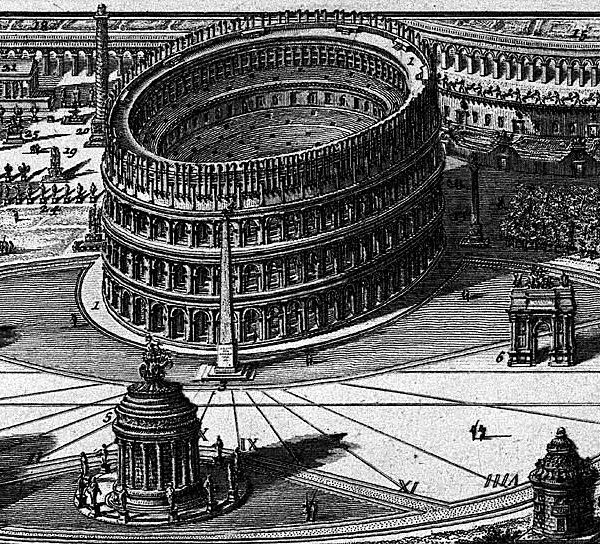 Within the first volume of Le Antichità Romane are a series of plans of ancient Rome: baths of Titus, topographical map, barracks of Tiberius, baths of Caracalla, nymphaeum of Nero, baths of Diocletian, Forum Romanum, Capitoline Hill. 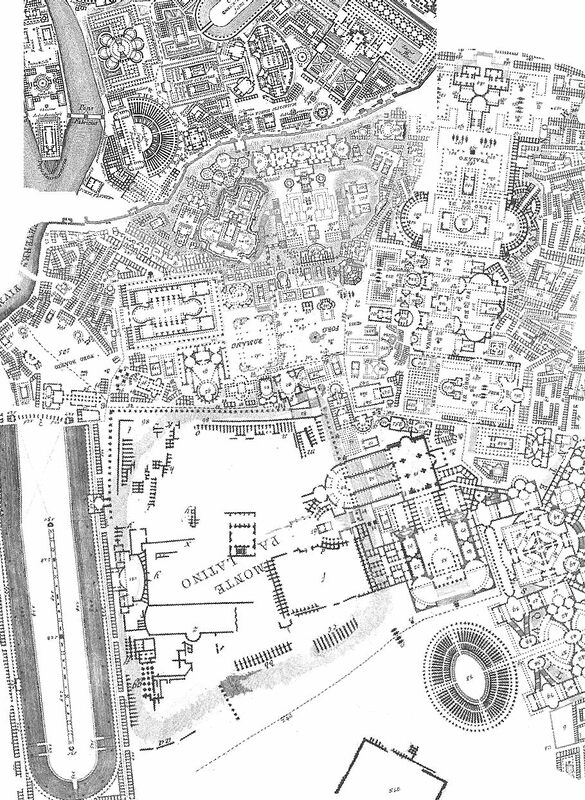 When combined with the Ichnographia Campus Martius these plans constitute an almost complete plan of ancient Rome.